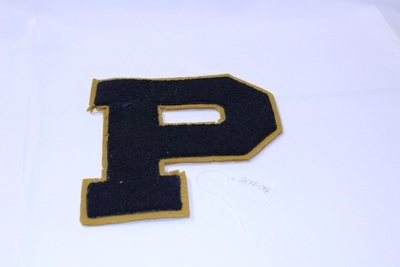 Navy blue letterman's letter "P" on old gold backing, tape on back reads "FODGE." White mesh on back. 8 inches long, 7.5 inches at widest.